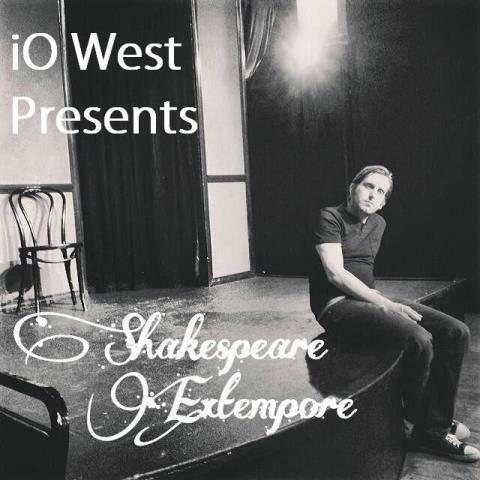 IO West returns with its next main stage performance of Shakespeare Extempore on Friday, April 18 at iO West Theater in Hollywood. The non-traditional improv group uses cinematic soundscapes, and improvised movie and scene painting techniques to put on a completely unique Shakespearean performance through the lens of various genre and director styles. “The concept for the show came from our desire to explore what you don’t get to see from Shakespeare on stage that you do see on film: the battle scenes, the murders, the sexuality, the intricate offstage events which are referenced but not enacted,” says director Jason Murphy. “We also wanted to capitalize on improv’s ability to create any landscape and setting for environments with complex, complimentary soundtracking and lighting. You can experience a tragedy in a dystopian futuristic Rome or a history set in the 1930’s Depression Era. We use a vast array of pre-scored music/soundscapes to underscore scenes which heighten the cinematic feel of the performance in the particular genre. The cast of Shakespeare Extempore includes Jason Murphy, Sean Cowhig, Lauren Pritchard, Derek Mears, Scott Palmason, Ryan Marsico, Alexis Simpson, Kelly Vrooman and Justin Michael Terry. Click Here for tickets ($10) or call (323) 962-7560. IO West is located at 6366 Hollywood Blvd, Los Angeles, CA 90028. For more information, visit http://ioimprov.com/west/.